NASA will hold a press conference on Wednesday (Jan. 9) to discuss the progress of the agency's Commercial Crew Program, which aims to advance the design and development of new private spaceships to fill the current gap in U.S. human spaceflight capabilities. The press conference, which begins at 2 p.m. EST (1900 GMT), will be broadcast live from Kennedy Space Center in Florida on NASA Television and streamed on the agency's website, according to a media advisory. 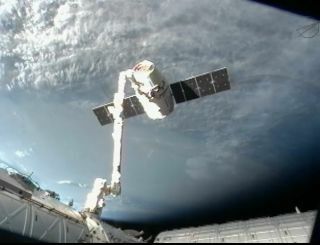 You will be able to watch the webcast live on SPACE.com here. Last month, agency officials announced that Boeing, SpaceX and Sierra Nevada Corp. would each receive about $10 million to begin certifying that their respective private spaceflight systems meet NASA requirements for taking crews to and from the ISS. That was just latest in a series of commercial crew awards granted by NASA over the last few years. In 2010, the agency granted a total of $50 million to five companies, including Boeing and Sierra Nevada. Boeing, Sierra Nevada and SpaceX split $315 million in 2011 and $1.1 billion in another round of awards announced this past August.